In the summer, Gmail users have received a new feature for their Gmail account. This feature is said to be the Smart Replies which can be used to give respond quickly to the mail. This response feature which the user can see at the bottom of the emails. This feature is consists of three short phrases, and the AI determines these phrases as it is good for the emails. This new feature was initially available to the inbox, but in July, it was rolled out to all the users. As per the Wall Street Journal, with numerous Gmail users are out there, they have spoken with few to discuss the advantages of these smart replies. But it seems that some users still don’t like this feature, and it is now learned that Google is now going to bring an update to make this Smart replies feature as optional. It is said that Gmail has recently rolled out this feature which is said to default on the desktop version for the 1.4 billion active accounts. As per the company stated to a Journal, it said that about 10 percent of all Gmail responses are said to be generated by the tool. It may be seen that these smart replies sometimes saves the time to type the message, but it creates issues in the mobile format. As these replies are placed right below the thumb in the mobile, one can accidentally press that button even they don’t want to. Google said that the 10 percent of Gmail users using this feature is huge. 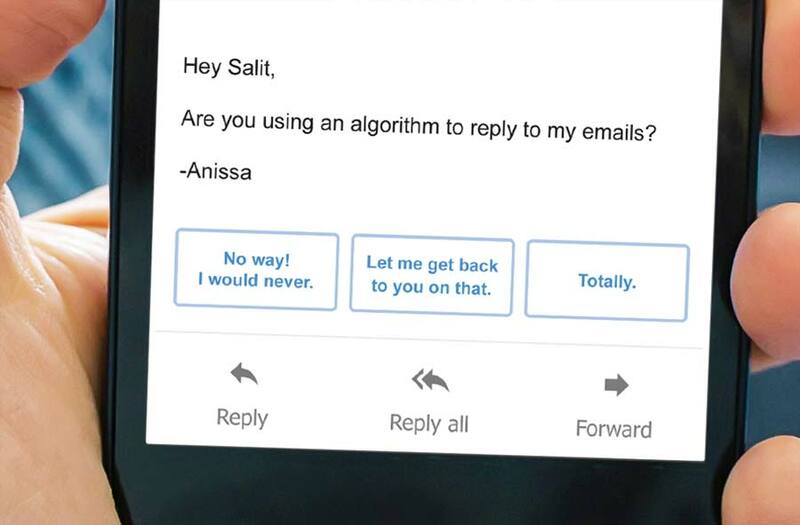 It is said by the company that every day about 269 billion emails are sent, and these smart replies are consist of about 6.7 billion emails which is good enough. If you are a mobile user, then you can turn off the smart replies by disabling the tool in the mobile app which can be done by turning to the Settings and then selecting the account by flicking the slider that is present beside the Smart Reply. But if you are a desktop user, then you have to wait till next month as the update will be released in the next month from the company for the desktop. Till now there was no word from the company neither they have confirmed about the date officially, so you have to wait for now.